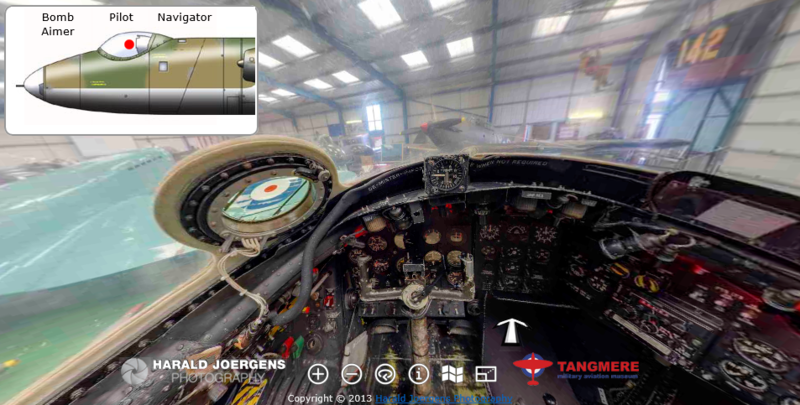 For a client, the highly recommended Tangmere Military Aviation Museum near Chichester, I have created a high resolution virtual tour of their English Electric Canberra B2 (WE113). 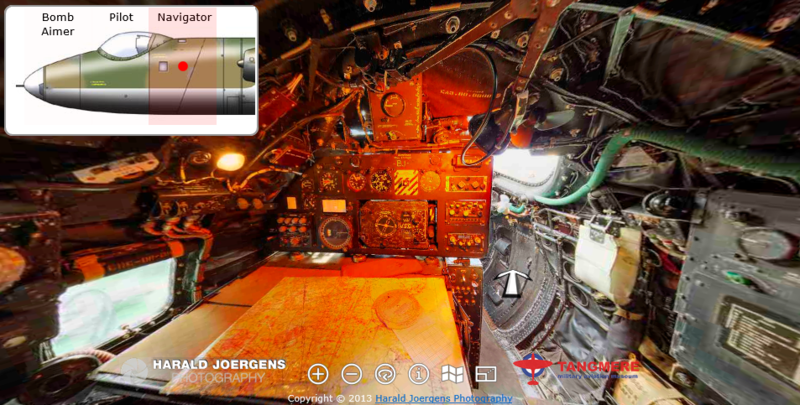 - the bomb aimer's view lying in the nose of the aircraft. All controls, instruments, and switches are explained - just move the cursor over an area of interest, and a text will pop up (this doesn't work on touch devices - there is no cursor). The individual panoramas were shot inside a museum's hangar, using the available light. 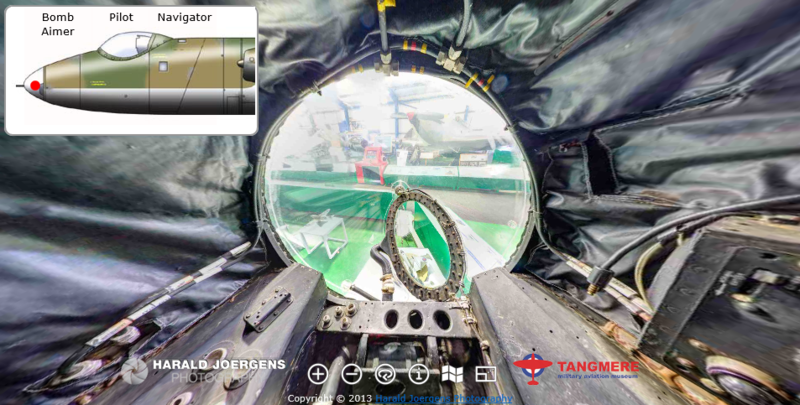 Click on the photos below to open the virtual tour, and switch to full screen mode! If you are interested in future aircraft panoramas, please sign up to my mailing list! A bit more about the panorama can be found here. More aircraft are lined up for 2015. If you can think of an aircraft that could benefit from such work, please let me know!